Accurate political predictions remain a challenge. Polls are snapshots, not forecasts. How can we help you keep a constant pulse on the electorate? MarketPredict is a proven campaign strategy simulator that provides rapid-fire forecasting of how voters will be influenced by campaign strategies and events. 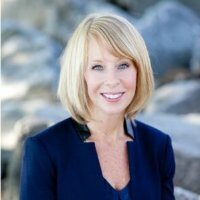 Michelle Campbell is the Senior Director of National Sales for The E.W. Scripps Company, a robust media company serving audiences and businesses through an impressive portfolio of television, radio and digital media brands including the latest acquisition of Newsy. As Senior Director, Michelle oversees the sales operation in Scripps’ Washington D.C. office. In this role, she manages all sales aspects of political and programmatic advertising, and the launch of MarketPredict, Scripps’ live voter predictive model. Previously, Michelle was a Sales Manager for Pandora Radio, overseeing their Political and Advocacy team. Before Pandora, she spent the last two decades in sales management positions for two local broadcast companies, Saga Communications, a terrestrial radio company, and LIN Media, a television and digital company. Michelle received her undergraduate degree from Southern Illinois University in Radio and Television, and currently resides in Alexandria, VA with her husband and two sons.